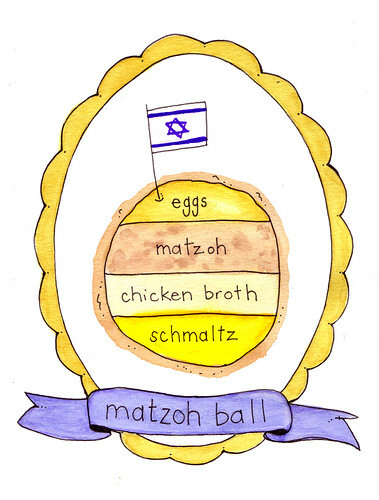 No meat in this ball... just in time for Passover, it's the much loved Matzoh (Matzo, Matza?) Ball. So I'll admit that I've never made these bad boys, but these 4 ingredients: matzoh, schmaltz (aka chicken fat), eggs, and chicken broth seem to be a constant in most recipes. Some swear by the addition of some airy agents, like baking soda or seltzer water, in an attempt a lighten these sometimes leaden creations. Any thoughts on those additions?